Are you into the gardening activity? Well, this is a kind of addiction for the ones who are really into it. Other than mere plants. Some herbs are also planted and grown inside the houses in traditional planters. Some of the herbs like mints, lemon balm, and lemon verbena could be the garden thugs. But only a keen gardener would know all this. If you are a gardener then we have brought you a superb pallet wooden herb planter. This is going to help you in getting rid of typical tiny pot planters that did not allow you to plant the herbs in a larger quantity right at one place. Herbs are some real stuff for the ones who love gardening. But if one is not having a proper full fledged garden or green landscape then it could become a really problematic issue for them where to plant the herbs. We are bringing you right here the easiest solution for you guys out there. 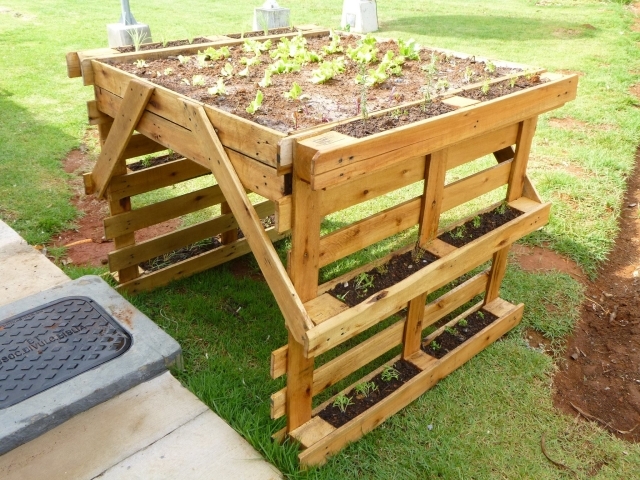 And the savior again would be your raw wooden pallets as the title of the article shows this that this herb planter would be recycled with the pallet wood. Same wood work techniques and some basic tools are going to be used and nothing else. 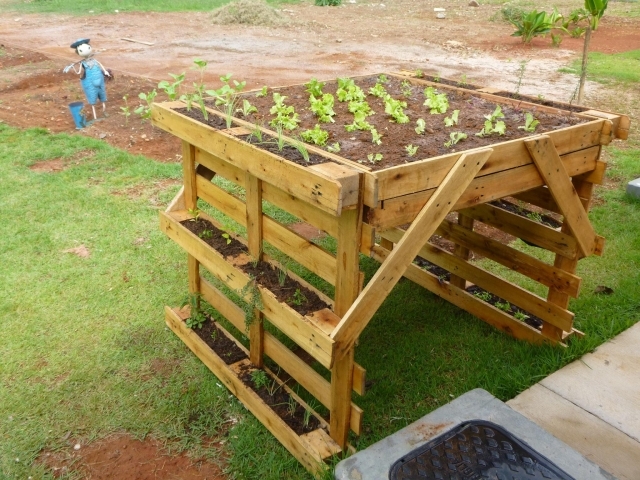 If we can make huge furniture items and vertical gardens as well by upcycling the pallet wood then this herb planter sounds like a real easy task. Look at the perfectly appropriate height of the herb planter. One would like to keep the planter right above the ground. 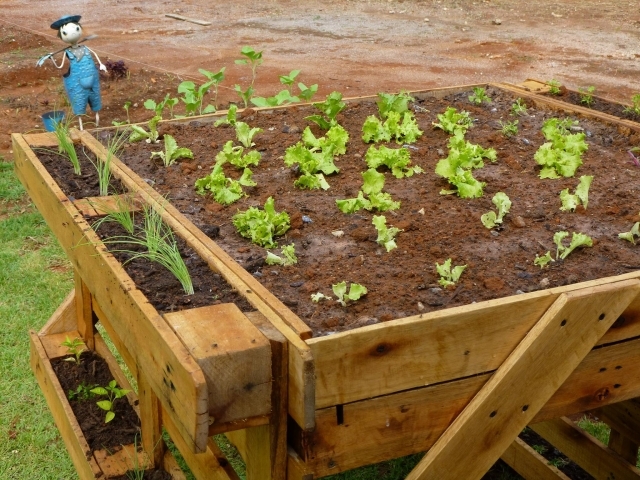 Straight whole pallets are installed on both ends as stands, while in the middle again a whole wooden pallet is fixed where the herbs would be planted. The empty spaces of pallet are again filled with the wood pallet planks.